“Bud” is a product of the Carol Rose program in Texas. 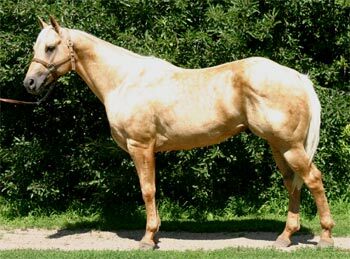 His get have earned 178 AQHA points, 888 Palomino performance points and 9 halter points. 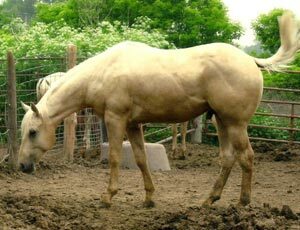 A son has 5 Palomino World or reserve World titles. ZAN PARR BAR was a 3x World Halter Champion, a superior rope horse and sired 23 AQHA Champions and a Superhorse. Dimonds Nifty Lady is by superhorse sire, Mr Diamond Dude. World Champion reiner, Craig Johnson, said she was his “top futurity producer”. 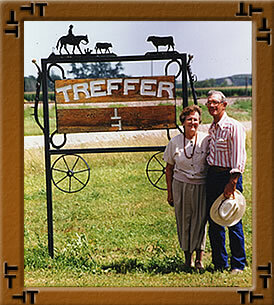 The Treffer Ranch Partnership consists of Loren and Delores Treffer, son Bruce and wife Christy, son Mike, wife Corlyus and boys Garrett and Ben and his wife Sara. The rest of the Treffer family, Linda, Dawn, Jan and their families also enjoy the horses. Our family has been involved with horses as far back as memory serves. Originally, these horses were work horses, calvary re mount horses and a variety of horses to break. The first registered horse on the place was purchased in 1967. Toy Ace was a Spade Ace grand-daughter and produced the foundation horses in our herd. 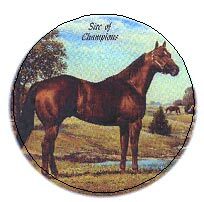 Several of them, including our first stallion, Smoky's Bonanza, were sired by Sugar's Bonanza, an own son of Coy's Bonanza and out of a King P-34 grand-daughter. 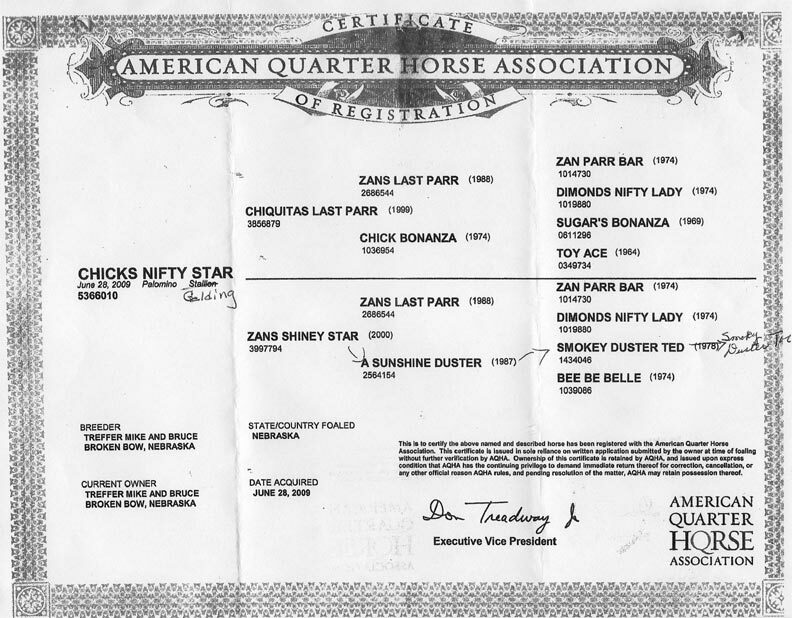 Sugar's Bonanza was raised and owned by Delores' brother, Jerry Dethlefs. When Christy joined the family she brought two APHA Champion mares with her. 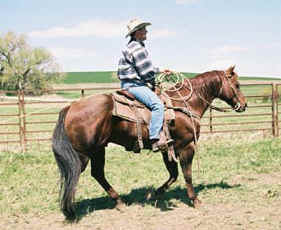 Crossed with our Quarter Horse stallions they have produced athletic horses with good color. Other mares were added over the years to the broodmare band. They have been close up to foundation horses like Smarty Cat, Leo, King, Beggar Toots and Three Bars. A stallion that did a great job for us was ZB Pine. He originally came from the Gewek Ranch and was sired by Zanza Bee and out of a Zippo Pat Bar X Poco Pine daughter. His foals have been powerful with great bone. After his untimely death we hauled mares to several top Nebraska stallions. We ended up with nice individuals with outside bloodlines of Frosty Feature, Zippo Pat Snap, Im'A Cracker Jack and Heiroriffic. All of our 1998 foals were by a stallion we leased. Genuine Credit is a son of Miss N Cash out of a Genuine Doc X Peppy San daughter. Zan Parr Bar is out of a great mare that is a superior halter horse and has produced a superior pleasure horse. Zans Last Parr is bred to fit our objective of producing good-looking using horses. We enjoy raising and riding our Quarter Horses and Paints. We've registered horses with the AQHA for over 20 consecutive years and were accepted into the association's Breeders Referral Program. Our goal has been, and will continue to be, to produce all-around performance horses with style and eye appeal. 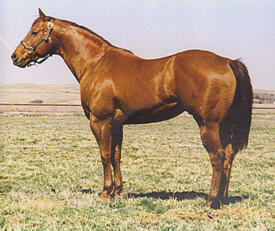 Deceased since 1987, ZAN PARR BAR is still the AQHA’S all-time leading sire of performance world champions. “Charlie” will be our replacement stallion for Zans Last Parr when the time comes. He hasn’t sired a lot of foals, but they have impressed those that have seen them. His sire speaks for himself. His dam is Chick Bonanza. Her progeny have earned over 270 AQHA points. One of her foals is an AQHA champion with superiors in three events. Copyright © 2003 - 2013 Treffer Ranch. All rights reserved.